Scarlett Liu an international student at Melbourne Business School, currently in her third semester of study in the Master of Management (Accounting). Scarlett recently completed the Melbourne Business Practicum (MBP) at Equip Super. One of the reasons I chose to take the MBP was to expand my local networks. Gaining work experience in Melbourne would be a valuable exercise as it could potentially lead to other opportunities like a graduate role here in Melbourne. My experiences and connections made from the MBP have been incredible. 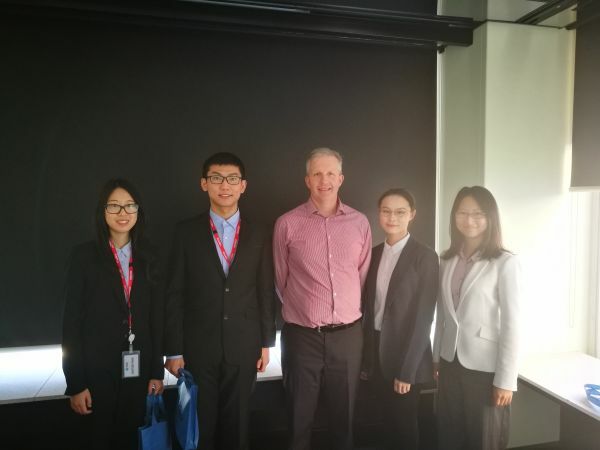 The subject far exceeded my initial expectations in every area – my experience at my host company, support from university staff, student-team members and even the project topic impressed me. Prior to going in-company, my academic supervisor Xueyuan Wu shared his industry knowledge with my team which helped us feel more confident and prepared.The ‘mid-company team catch-up’ organised by university staff provided an opportunity for all MBP students to share their experiences in-company, which was a meaningful exercise. As part of the application process, I submitted a video recording to introduce myself. It took some practice for me to speak naturally in front of the camera. The second stage of the application process was to attend a group interview. There were ten students in my session and we divided ourselves into two groups. We were given time to look at a case study before giving a presentation to a Selection Panel. Our group spent most of our time brainstorming ideas, before dividing tasks and preparing what we would say. Prior to starting work in-company, MBP students had to attend a week of induction sessions which I found extremely helpful. I found the second day to be a highlight, as we learnt what it meant to be professional. Some teams were asked to introduce themselves to their host company, before receiving feedback. I picked up useful tips like asking our client how they normally work with consultants at the start of our project, and ways to describe my skills. These practical exercises taught me how to introduce myself and help me identify what to avoid. 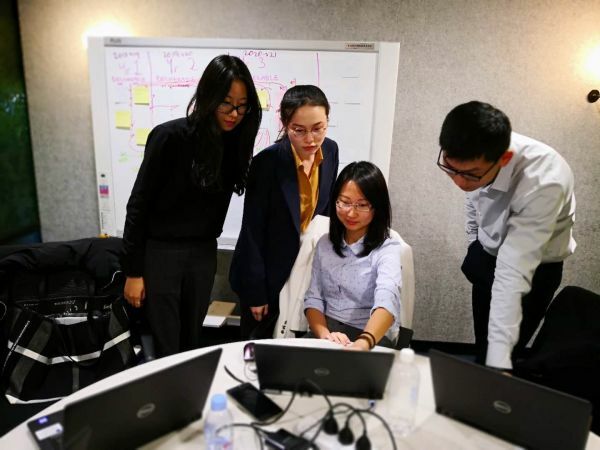 My team also met with our host company and we developed a research proposal which included our objectives, methodologies, timelines and responsibilities for a two-week period. My experience was overwhelmingly positive. My team received a warm welcome, were orientated to the company and were placed in a project room to work from. The four of us were tasked with determining the profitability of several products on multiple levels. This was challenging because there was much research to be done. We needed to quickly become familiar with many in-house documents and processes. I was also personally challenged to turn my academic skills into practice – I had to learn two programming languages to make projections on profit. Thankfully, we had the dedicated Craig Plain, our main contact at Equip. Craig arranged meetings for my team with Equip’s senior managers and shared his knowledge on cost-allocation issues with us. By having regular meetings, we stayed on track and this helped us with our final presentation. Our final presentation was made in front of eight senior managers, our academic supervisor and Kerry Haines from the University’s Industry Team that organise student placements. Our hard work was an extremely rewarding experience in itself, and our time in-company had been a real success. Completing the MBP has helped me realise the complexities of real business problems. It has also given me a clearer idea on how to plan my career. To top it all off, it has helped me develop friendships with the three highly driven and capable individuals in my team. I would highly recommend the MBP to Melbourne Business School students. The subject involves multiple aspects like marketing, business development and financial analysis. As well as studying hard, students should also work on their interpersonal skills; communication, presentation and teamwork. It is also worth students researching industry trends to better prepare themselves. Are you a business interested in getting involved in the Business Practicum? Are you a Melbourne Business School student wanting to do the next Business Practicum? Find key dates, information sessions and funding available for 2019 here.